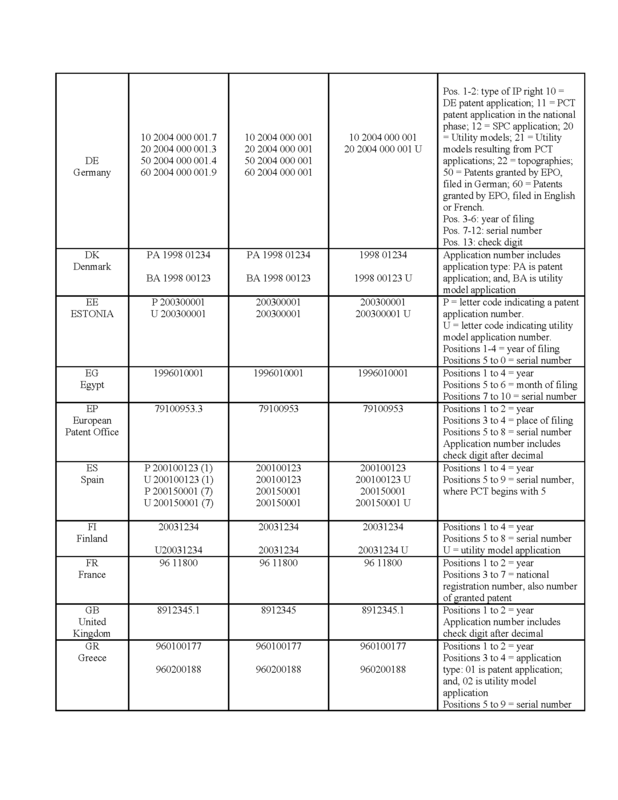 To ensure an accurate and complete citation of a foreign priority application, applicants should review the list of the various intellectual property offices and the recommended presentation of a foreign application number for each, which can be found in the tables of the online WIPO Handbook on Industrial Property Information and Documentation (www.wipo.int/standards/en/ ), Part 7: Examples and Industrial Property Offices Practices (www.wipo.int/standards/en/part_07.html ), including Part 7.2.1: Presentation of Application Numbers (www.wipo.int/standards/en/pdf/_07-02-01.pdf ).The tables should enable applicants, examiners and others to extract from the various formats the minimum required data which comprises a proper citation. 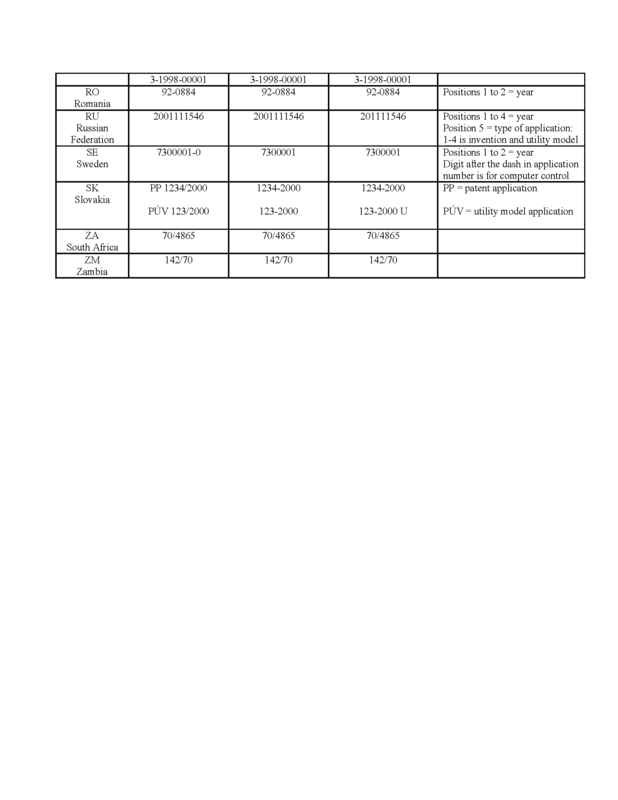 The "Minimum Significant Part of the Number" identified in the tables should be used in United States Patent and Trademark Office records. Proper identification of priority applications is essential to establishing accurate and complete relationships among various patent documents, especially in the context of electronic priority document exchange programs (see MPEP § 215.01). 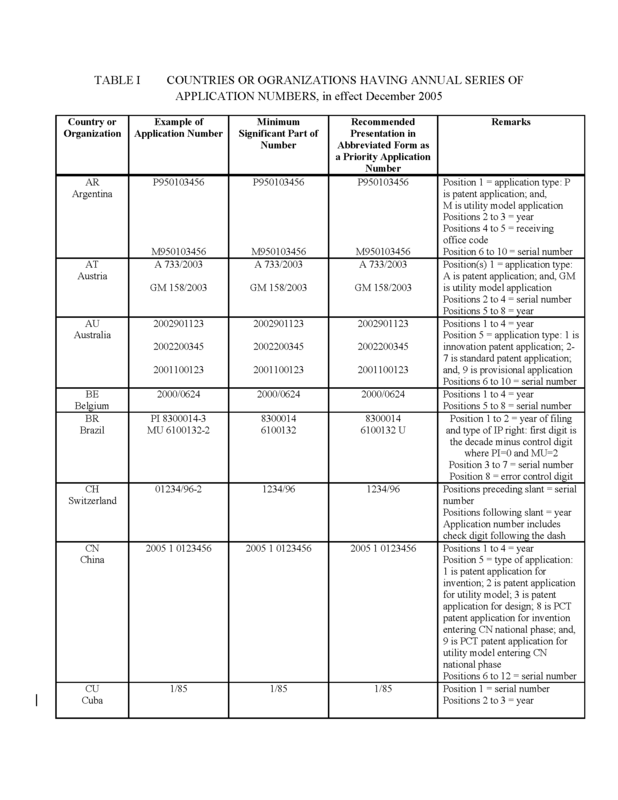 The tables set forth below include only a partial list of recommended presentations of foreign application numbers. 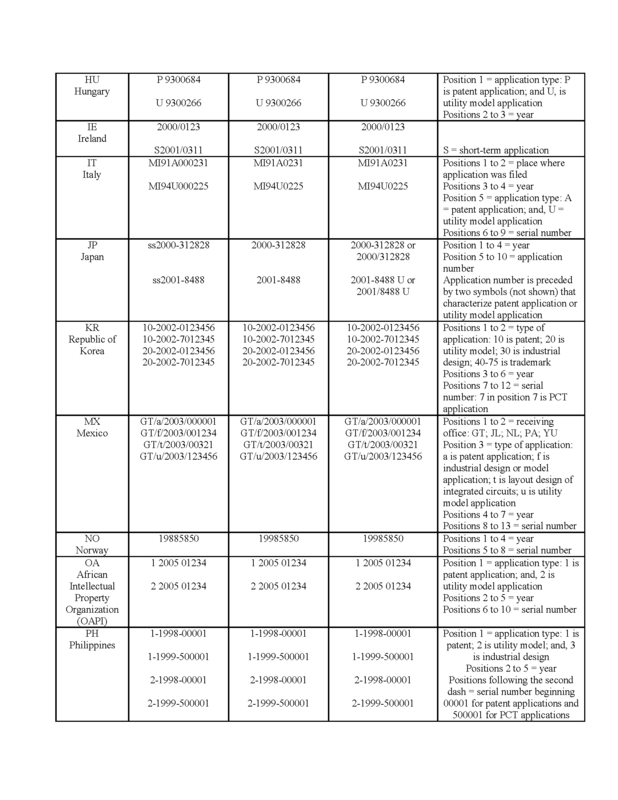 A complete updated list of the recommended presentation of a foreign application number based on the numbering system used by the foreign intellectual property office is maintained by the WIPO and can be found in the online WIPO Handbook on Industrial Property Information and Documentation as explained above. 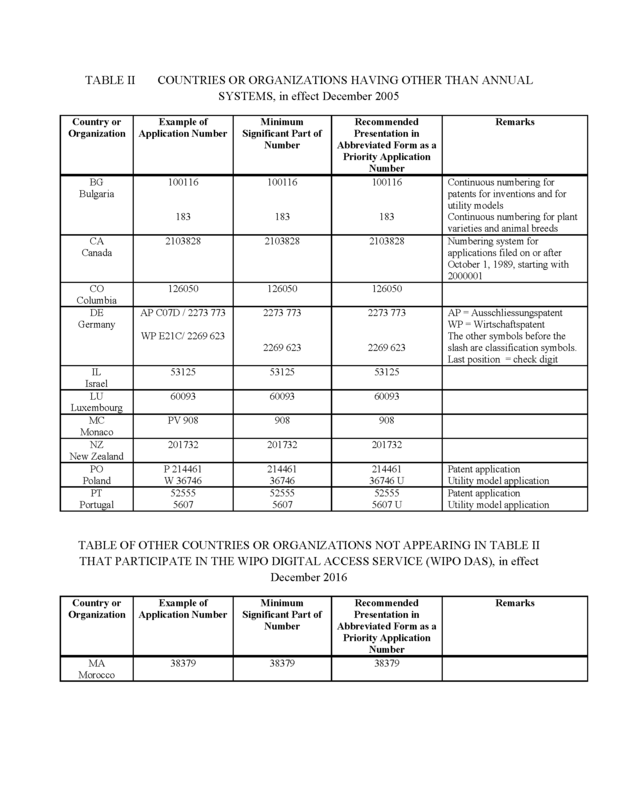 See also www.wipo.int/export/sites/www/standards/ en/pdf_/07-02-06.pdf for a survey of current practices regarding the numbering of applications and priority applications.